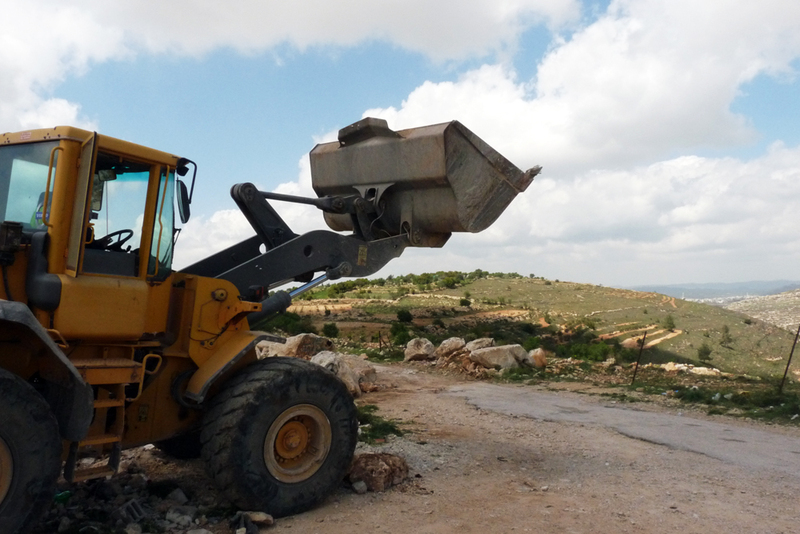 Today, the Civil Administration – the Israeli military authority which governs the occupied Palestinian Territorries – has confiscated at least 984 Dunams of land, amongst it also private Palestinian property belonging to at least 50 different families according to locals. The picture below shows one of the 72 signs put up by the Civil Administration. A Civil Administration officer told us upon arrival in the area that he is not allowed to give out information about the ongoing confiscation. However, documents attached to the signs showed maps of the confiscated area and stated that land owners have 45 days to raise an objection in court. The Civil Administration put up boards like this one today, stating that the land belongs to the State. Access prohibited. The confiscation mostly concerns the village of Al Kahder (for map click here) but also to other villages such as Nahalin and Al Jabba. 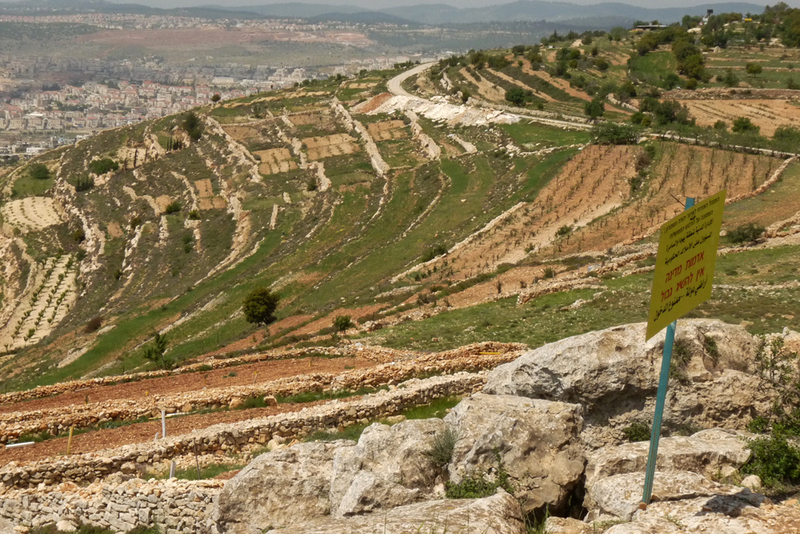 Only in my latest blog did I describe how Palestinian villages around Bethlehem are threatened to disappear while Israeli settlements are expanding. Additional to the land confiscation some olive trees were uprooted from Palestinian land. We managed to take a picture before the driver of the bulldozer lifted the shovel to hide the uprooted trees. 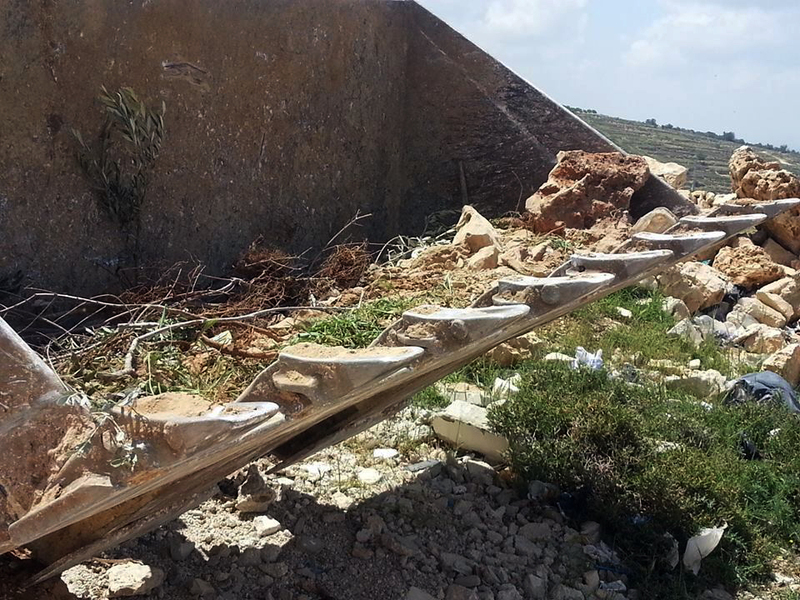 Uprooted olive trees in bulldozer shovel before shovel was lifted. Photo b M. Whitton. When the driver realized that we were taking photos he lifted the shovel so that the uprooted olive trees weren’t vivible anymore. 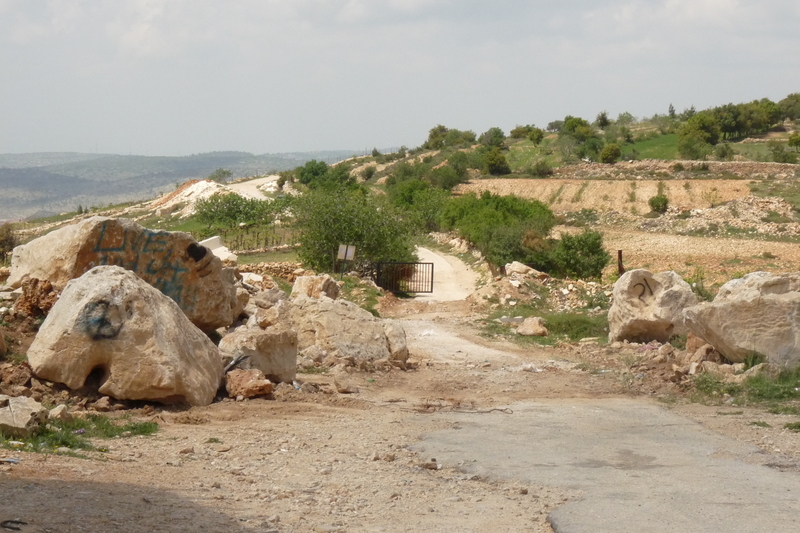 In one of my first blog posts, I mentioned how a gate was installed on the road to Hebron right next to the land of peace project Tent of Nations. Today for the first time, the gate had been opened and the rocks in front of it were removed while the Civil Administration was there. Most probably the road blocks will be put back later this afternoon. The noose is tightening around Palestinian villages. Their natural expansion is increasingly restricted are almost impossible. Again as in my last blog the question remains: what will happen to the Palestinian people once there is no space left for living?